100 ml E 3.38 fl.oz. US. 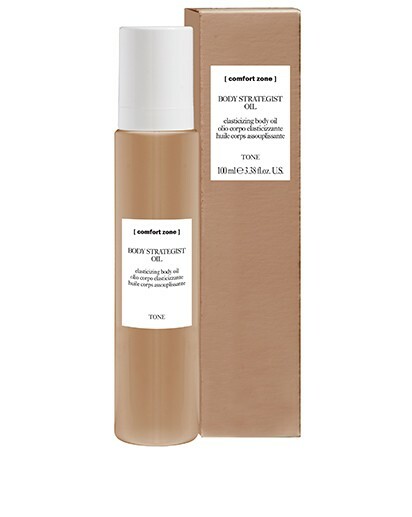 Elasticizing body oil recommended for the imperfection of stretchmarks and lack of skin tone. Improves firmness and elasticity. 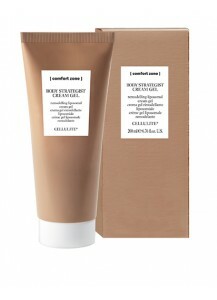 Oil of natural origin with an intensive and localized toning action. Particularly effective for maintaining a smooth cleavage. A delicate oil that Improved firmness and elasticity at 90% of the users * preventing the formation and improvement of the appearance of existing stretchmarks firmer, firmer tissue protection from oxidative damage receiving a young, tighten, firm skin. Safe and effective during pregnancy, ideal for babies and sensitive skin conditions. All ‘body strategist’ products ingredients are 86-91% of natural origin. Parabens, mineral oils and silicons free formulation. Use once or twice a day. Massage into areas affected by loss of elasticity and intense dehydration - promotes elasticity and firmness. - used regularly during and after pregnancy, it inhibits the appearance of stretchmarks and helps minimize those already present.